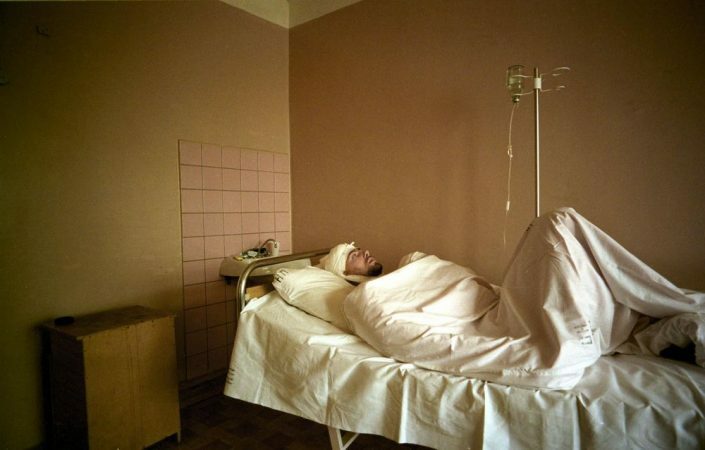 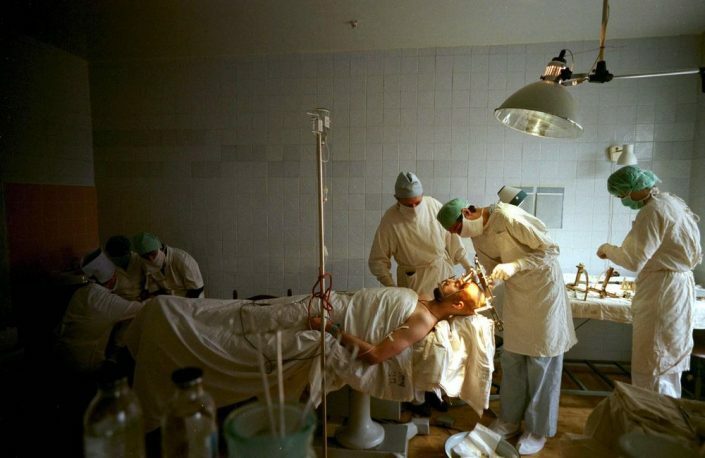 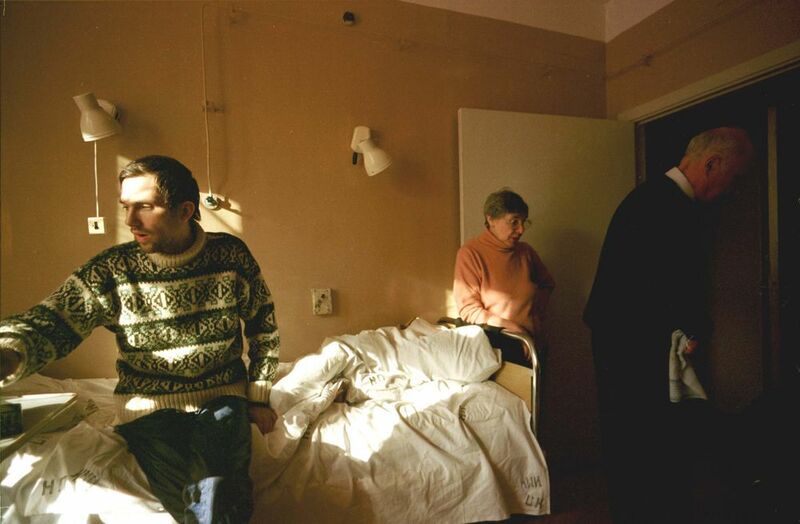 Click here for the story of "Brain surgery on drug addicts"
This photography series was taken in Fall 1998, in St. Petersburg, Russia. 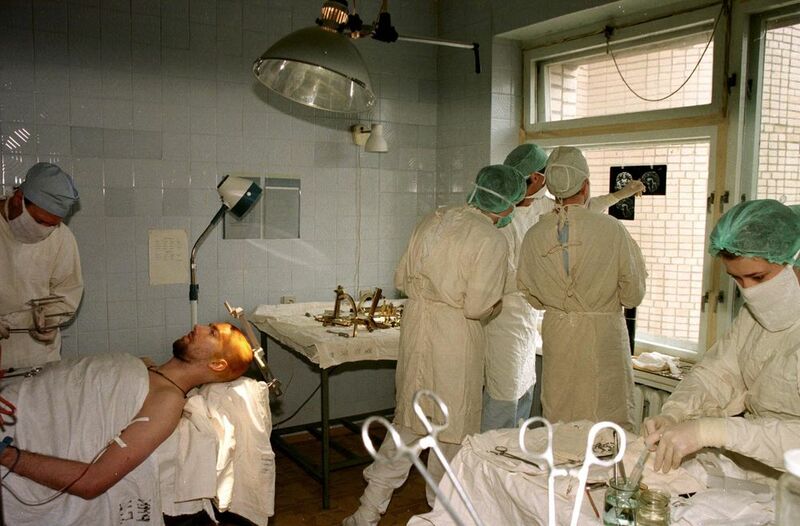 A series of controversial brain operations pioneered by St Petersburg scientists as a cure to drug addiction has been halted by Russian authorities after a patient complained of damaging side-effects. 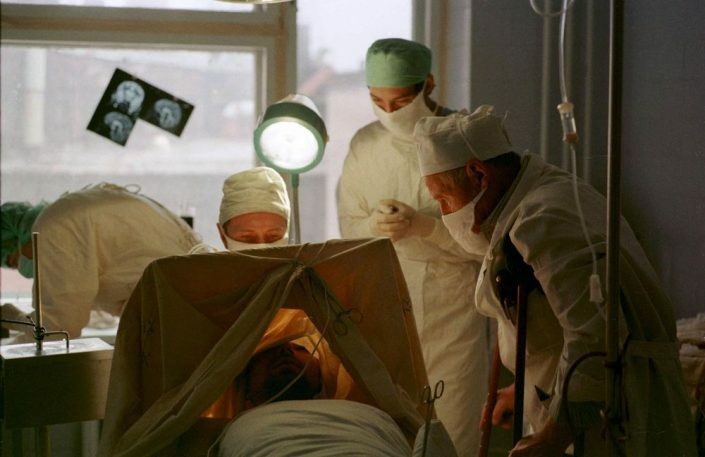 Russian authorities halted use of the procedure on the grounds that it was experimental and had not been licensed by the health ministry. 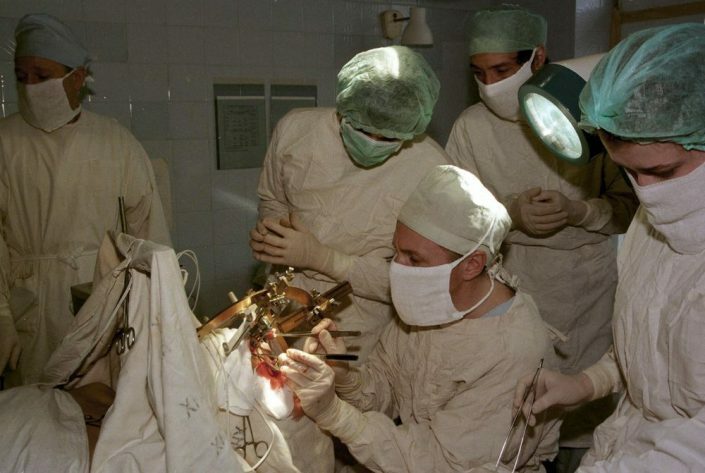 The operations, which began at the institute of the human brain in St Petersburg in 1999, removed a part of the brain associated with addiction. 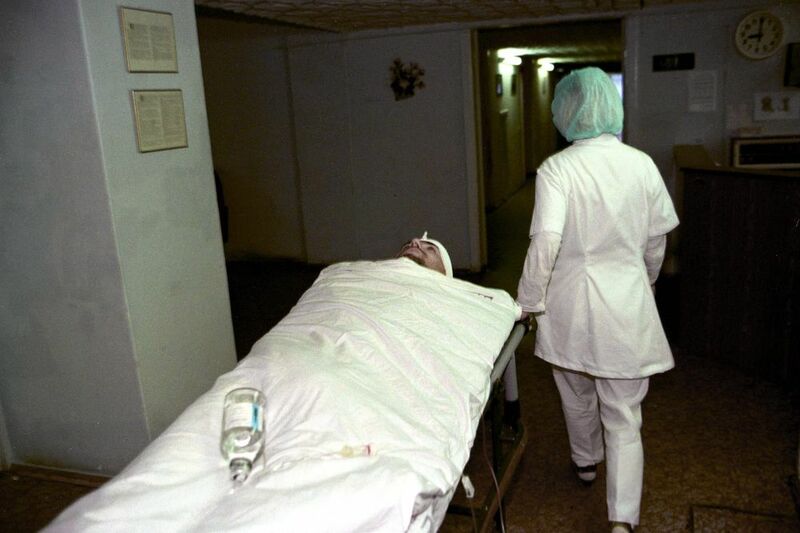 The programme has so far treated 335 patients, but the prosecutor’s office in St Petersburg ordered an end to the operations in August 2002 after a former patient won a court case against the institute. 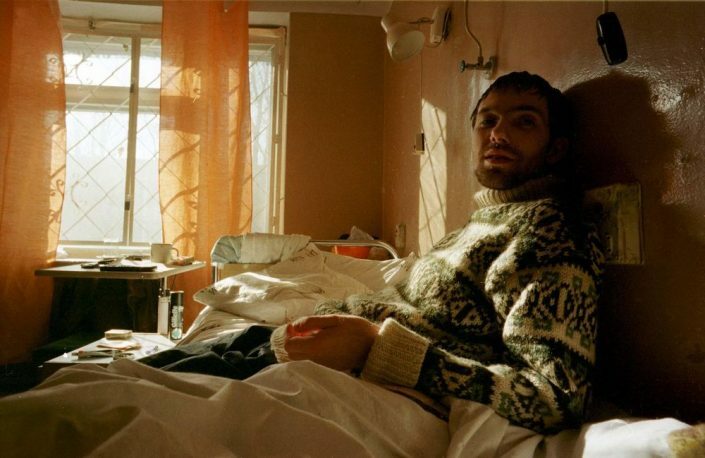 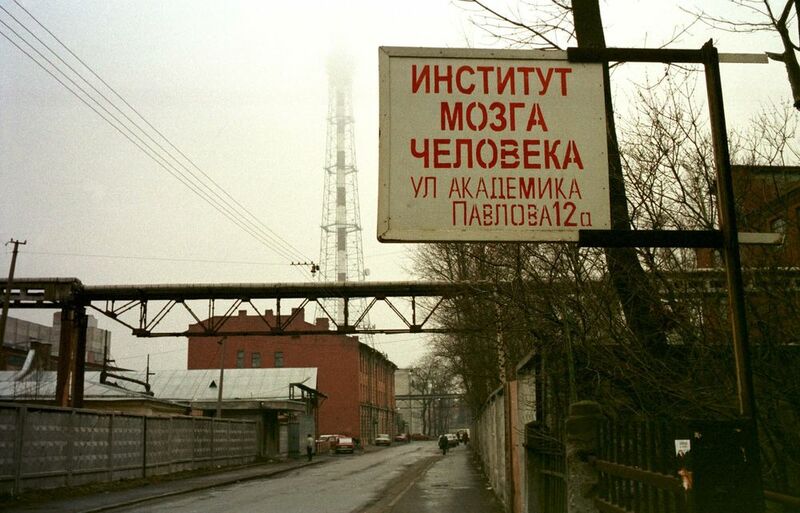 The operation is one of several controversial anti-addiction treatments used in Russia. In the technique, a small hole is cut in the scalp, and a hole drilled in the skull. 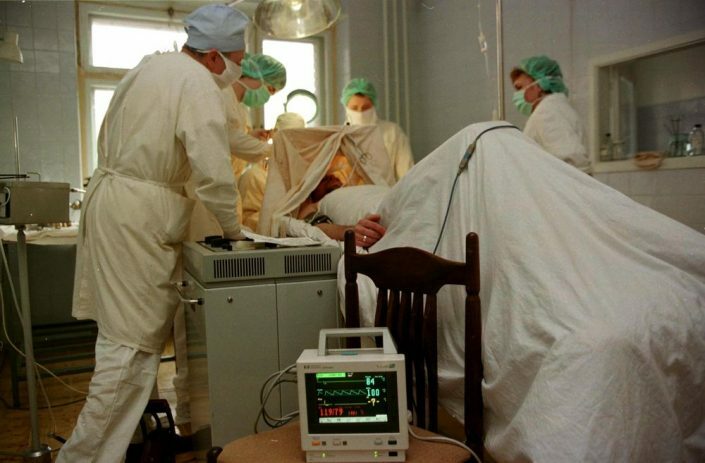 The doctors prefer not to put their patient under a general anaesthetic so they can monitor their responses as they probe the brain. About one cubic millimeter of tissue is taken from each hemisphere of the brain. Some 35% of addicts are reported to be cured straight away by the operation. Another 32% take drugs once or twice, but do not renew their addiction.